Home / SuperEagles / 7 minutes with China: What is Pinnick really doing? 7 minutes with China: What is Pinnick really doing? If you have been a follower of Nigerian football, you will be asking the same question as I am. The question is being asked because I do not know and I am not sure if many people know. 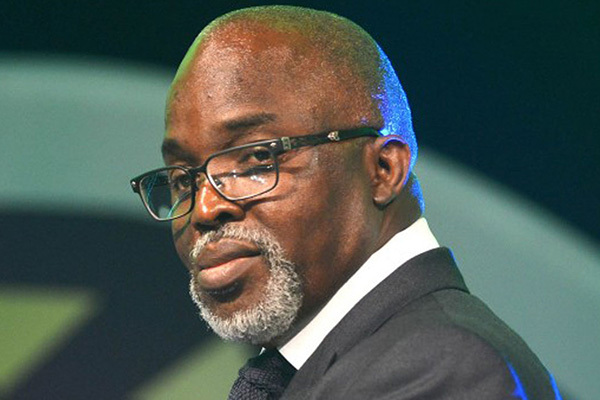 Two years ago, Amaju Pinnick, the president of the Nigeria Football Federation, NFF would have been termed a monumental failure. In fact he was a monumental failure because nothing seemed to work for the national teams. We stopped qualifying for tournaments and coaches were changed at will, especially at the Super Eagles level. I remember it was Stephen Keshi to Shuaibu Amodu, then back to Stephen Keshi, then Sunday Oliseh, Samson Siasia, Paul Le Geun and then Gernot Rohr, all in about fifteen months. Monies could not be paid and at some point it was common knowledge that the Federation was broke. Nigerian football was in free fall and it was clear for all to see. The reasons given by the Federation chief, Pinnick and his media handlers then was that the politicking in Nigerian football had a lot to do with the ills that befell us. They cited the Chris Giwa issue and the constant court cases as factors destroying Nigerian football at the time. They also cited uncertainty surrounding their leadership (because of these court cases) as a reason why the corporate world had stayed away from partnering with Nigerian football. Their excuses and reasons made sense, but at that time it did not seem right as it could have just been a ploy to deflect attention from their inefficiencies. However, two years later, one can see that they may just have been right. Between the exit of Sunday Oliseh and the appointment of Gernot Rohr, it was complete chaos. Nigerian football was in miry clay. It was that bad and there was only one person to blame, the leadership and Amaju Pinnick, the president. Let’s fast forward the clock a bit and see how things have changed a lot. At that time in our football lives I really did not see our national team overpowering the likes of Cameroon and Algeria. We had almost hit rock bottom in terms of organisation. I was forced to eat humble pie as Nigeria did not just qualify but did so in style. The truth is that, if you blamed the head for failure, then praise the head for success, which I have not failed to do. But it wasn’t just about success on the pitch, because this one seems to be cutting across. 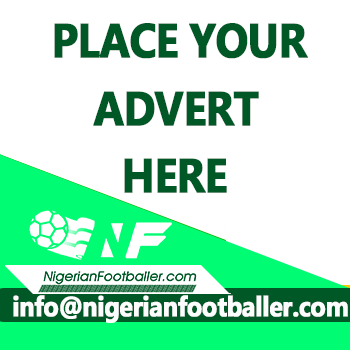 At about the time the Eagles played against Argentina in a friendly match late last year, news filtered out, with photos that the players had agreed with the Nigeria Football Federation on bonuses for the World Cup. This had to do with World Cup Qualifying bonuses and what they get for games played in Russia. This had never happened in Nigerian football as there were cases of arguments over money when they actually should have been preparing for games. The case of the players missing a training session in Brazil four years ago as they squabbled for money comes to mind. I saw this then as a pro- active measure by the Federation to at least ensure that things are done differently now than before. Why this makes headline news for Nigerians is that the players will certainly focus on their game in Russia, which is what we have always wanted. From being a broke Federation, the sponsorship deals started, first as a bit of a shock and then becoming something we became used to because of how frequently they were signed. Zenith Bank In 2015, the Nigerian Football Federation announced a partnership deal with one of Nigeria’s leading financial institutions, Zenith Bank. 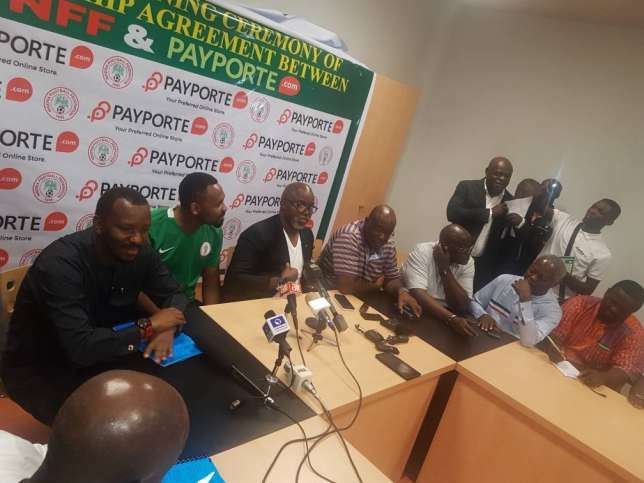 Both parties underscored the significance of the partnership, which focuses on youth development and capacity building for officials, as a landmark event for football in Nigeria. No figures were made public for this. Nike American kit wear manufacturers and the NFF entered a deal for three and half years and according to a www.goal.com report was worth $3.5m (about N743 million). This also included a massive cash bonus for the Eagles if they qualified for the 2018 World Cup which they did. This deal was signed in 2015. Most of this money would be used to pay salaries of National Team coaches. So never again would we hear that coaches are being owed at that level. 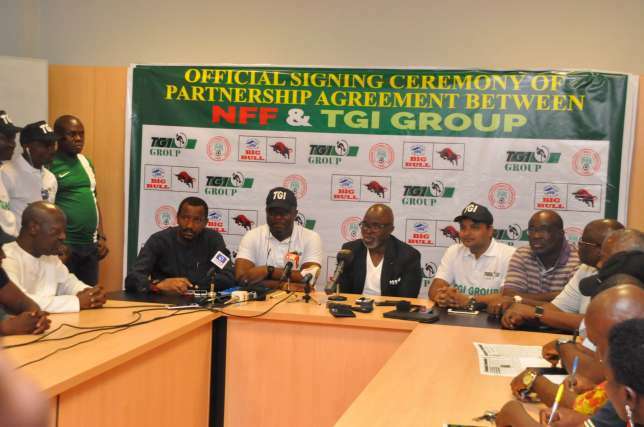 TGI Group is the parent company of WACOT Limited, Chi Limited and other companies, producers of household brands such as Big Bull Rice, CHIVITA, Hollandia Yoghurt and Renew Starch. A three year deal was signed with TGI and with no figures mentioned, they will probably just provide their products. Payporte The agreement with the www.payporte.com makes the company the official online shop for sales of Eagles’ jerseys for three years. It was signed in 2017. Coca Cola In January 2018, Soft Drink giants, Coca Cola signed a sponsorship agreement with the Federation worth $4m (about N1.4b) as sponsor of all National teams and will run for five years. 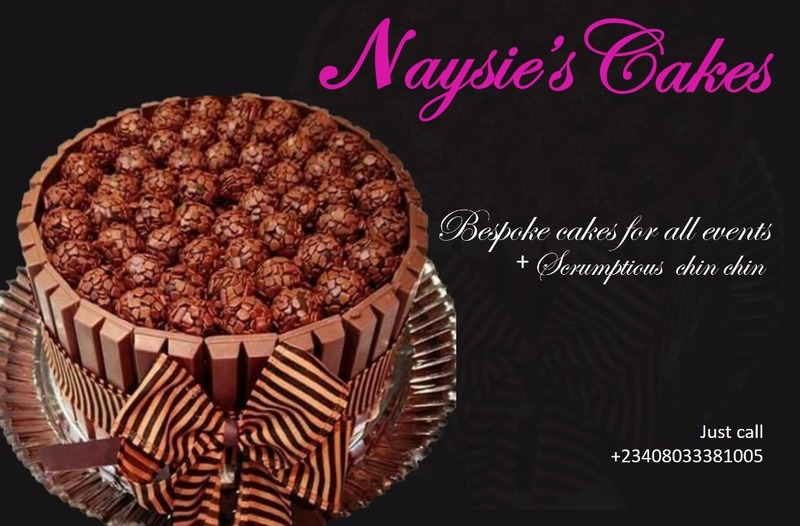 This results in almost three hundred million naira a year. Nigerian Breweries This deal was/ is worth N2.2 Billion for five years, equating to more than four hundred million naira yearly. 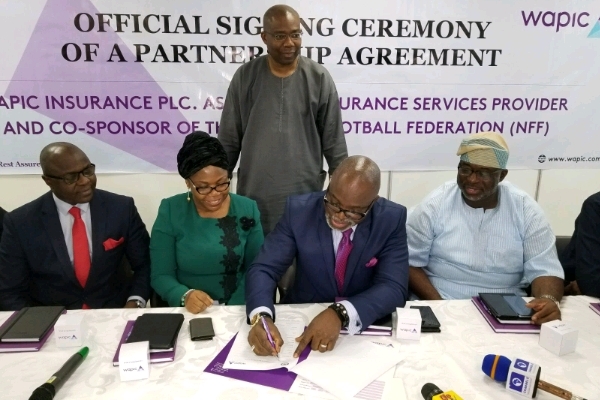 WAPIC In January of 2018, the NFF announced a five year agreement with WAPIC Insurance Plc as its new co-sponsor and official insurance service provider, even though no financial details were given. Cadbury Just two weeks ago, the Federation announced that they are set to seal a deal making Tom Tom the Official Candy of the Super Eagles. The agreement is for a period of three years in the initial period, and renewable. It makes Tom Tom the ‘Official Candy of the Super Eagles, but no figures were mentioned. Where did all the money come from? What is Pinnick doing? For a Federation that was broke just three years ago, it is massive that all of these deals are in. Vice president of the Federation, Shehu Dikko was once quoted as saying, for the first time in Nigeria’s history, the NFF would not need to ask money from government to prosecute the World Cup and if that is true (it obviously is from these figure) then kudos must go to those who have made it possible. Whatever it is, we are enjoying it and would wish he does not stop. While wishing the Super Eagles the best of luck in the final of the African Nations Championship, CHAN, I wish to announce, with pride, that Mr. Samson Adamu is the new CAF Director of Competitions and Mr. A.U Mustapha, SAN, is the new President of the CAF Appeals Board. Nothing fills me with more pride than seeing Nigerians striving to make football on the continent better. While thanking Nigerians for their support and their patience with all of us in charge of taking our football higher, I'm also grateful for the love you've shown us all. I'll also like to thank, particularly, the President of the Federal Republic of Nigeria, President Muhammadu Buhari, GCFR, for creating the enabling environment for football stability and prosperity. His support for the NFF is immense. Our football is on the rise again and with everybody's support and the continuing hardwork of everybody involved, the sky will be our stepping stone. So I say, from the bottom of my heart; thank you, Nigerians. Thank you . Now we have sorted out the finances, we need to sort out the performances. Here is hoping for the Eagles to fly as high as possible in Russia.